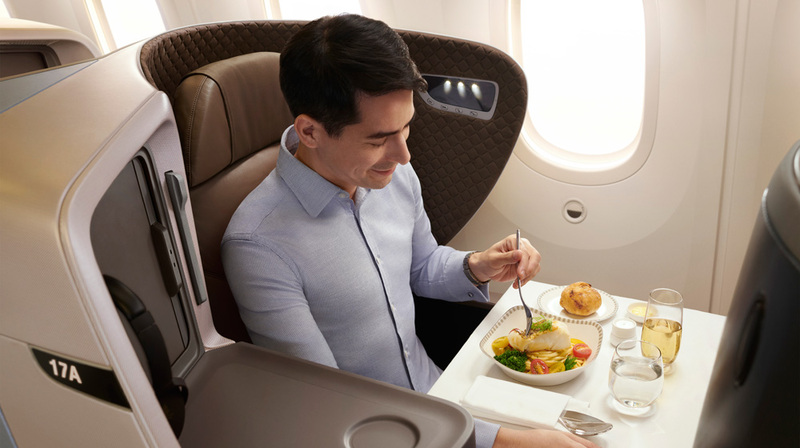 Singapore Airlines has chosen Adelaide as the launch destination for its first Airbus A350-900 aircraft fitted with all new medium-haul cabin products. Launching on 18 December from Adelaide, subject to regulatory approval, flight SQ278/279 will be operated daily by the two-class, 303-seat A350-900, providing South Australian customers first access to an unparalleled level of comfort and technology and increasing capacity by nearly 7%. The new A350-900 medium-haul aircraft is equipped with the airline’s recently launched new medium-haul Business class and Economy class cabin products and features 40 seats in Business class and 263 seats in Economy. The Business cabin boasts a 1-2-1 seat arrangement, providing every customer with direct aisle access, while the Economy cabin will be arranged in a 3-3-3 configuration. The A350-900 medium-haul will be fitted with the latest Thales AVANT in-flight entertainment system. Designed with a new user interface that offers a more intuitive user experience and navigation options, customers will be able to enjoy Singapore Airlines’ myKrisWorld personalised in-flight entertainment (IFE) now with even greater control. The jet will also be equipped with Inmarsat GX Aviation’s high-speed in-flight Wi-Fi, offered through SITAONAIR. “We have proudly operated services to Adelaide since 1984 and the deployment of our first A350-900 medium-haul aircraft with our new medium-haul cabin products to the South Australian capital is an exciting new chapter in our 34-year history,” Singapore Airlines Regional Vice President, South West Pacific, Mr Philip Goh said. “The decision to deliver increased capacity to the city reinforces our commitment to South Australia and will provide more opportunities to grow inbound and outbound travel. “The introduction of the new aircraft will allow us to better serve the South Australian travel market and continue to provide our customers with a premium service offering. Goh also announced that Brisbane would be the second Australian city to receive the A350-900 with the medium-haul cabin products, subject to regulatory approval, increasing lift by about 5%. “To better meet the growing demands of the market in Brisbane, we will deploy the medium-haul A350-900 with more Economy class capacity to Queensland next year,” Goh said. 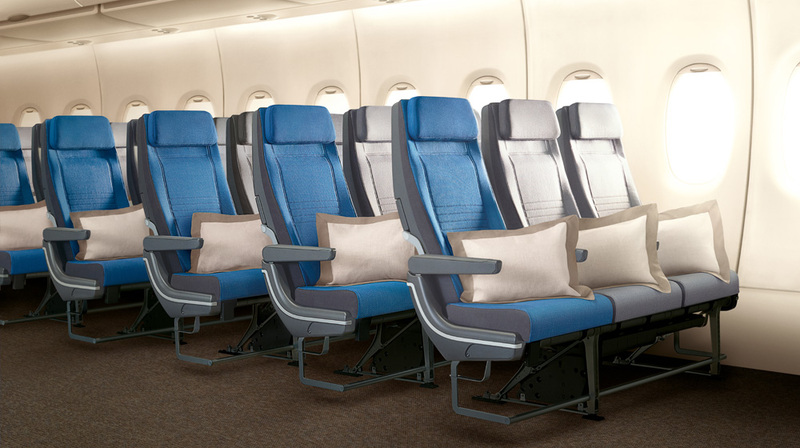 The new medium-haul Business Class seats have been manufactured by Stelia Aerospace and are arranged in a forward-facing 1-2-1 staggered configuration to provide every customer direct aisle access. 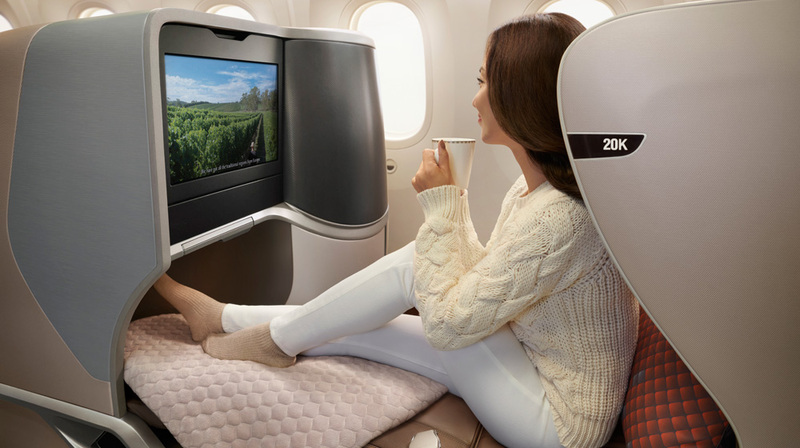 With each seat able to recline directly into a 76” fully flat bed, Business Class customers can rest in more comfort even on the shortest flights. Each seat measures up to 26” in width with retractable armrests that can be raised and lowered. Customers can also look forward to other features to enhance their travelling experience such as ample stowage space for personal items, a business panel with in-seat power supply and USB ports, integrated reading light unit with adjustable lighting intensity and a personal 17” high-definition touchscreen monitor. The new Economy seat has been designed and built by RECARO and also offers customers an enhanced in-flight experience. 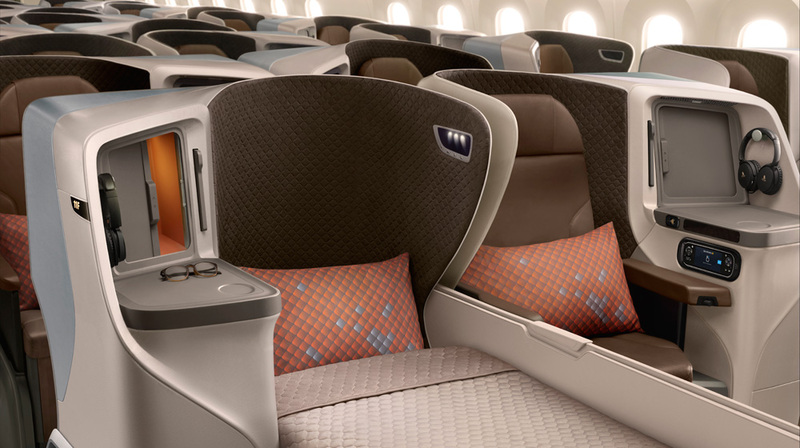 Arranged in a 3-3-3 configuration, each of the 263 Economy class seats has an ergonomically designed contour backrest that provides greater comfort and a six-way adjustable headrest with foldable wings to provide more neck support. 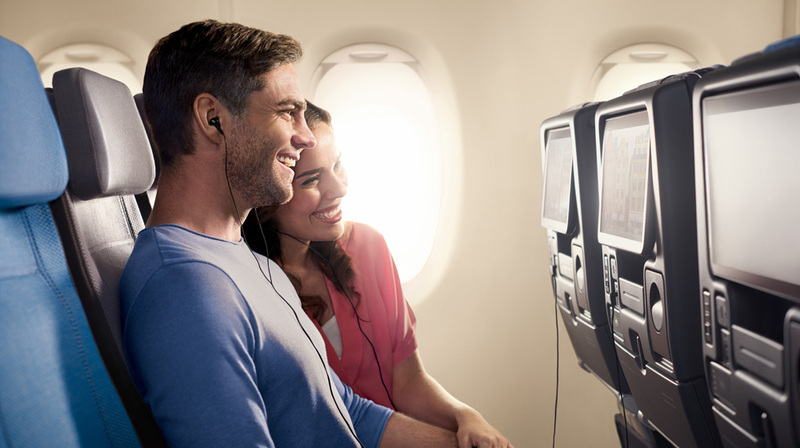 Economy class customers can also enjoy an enhanced entertainment experience on their personal 11.6” high-definition touchscreen monitor, as they browse from the selection of more than 1,000 movies, TV shows, audio programmes and games on myKrisWorld.